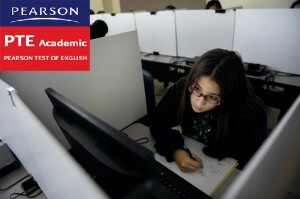 Pearson Test of English (PTE) has earned reputation as a reliable English language proficiency test accepted globally, that assesses an individual’s speaking, writing, reading and listening skills in English language. As an English language proficiency test, PTE is fast gaining popularity among test takers. Being a fully computer based test, it is comparatively easier and also that, there is no long wait for results, as it is generally declared in a matter of days. However, it is common to find that many test takers take undue pressure while taking the test which can adversely affect their score irrespective of their level of preparation. All one needs to be is little organized and attentive to succeed in this test with excellent scores. How can you expect to perform when you don’t know what to expect in the tests. Getting to know the details of the test is the first thing to do. PTE online practice test are available, which offers real time experience of taking the test. At the end of the mock test, you will get your score based on which you can assess your weak areas and plan your preparations accordingly. Since the PTE, tests candidates reading, writing, speaking, listening abilities, an exhaustive preparation pattern needs to be followed as selective preparation is not going to serve any purpose. Make sure you dedicate equal time for every exam area even if you feel that you are strong in that particular area as it is generally seen that test takers due to over confidence, tend neglect a certain areas and as a result end up scoring dismally in that area. Practice and more practice is the manta to scoring well. To put it simple, you have very little chance of clearing the PTE or in that case any English language proficiency test if you are dismal with your grammar, as your strength in grammar is tested in both writing and speaking section. So make sure you brush up your grammar. It wouldn’t be a bad idea to attend an English coaching centre before attempting PTE. This is a common mistake, majority of test takers make, as they feel that listening doesn’t need much effort when actually it does. Test takers tend to take the listening tests for granted. Keep in mind you will have only a single chance to listen to the audio tapes. Make sure you listen to the tape with 100 % concentration so that you don’t end up with low scores on account of your complacency. Talking to friends or acquaintances who have already taken the PTE test would be a great idea as you will get firsthand account at how it feels to take the test, what are the mistakes that one should avoid while taking the test. Though test takers have different approach they will be able to give you at least some tips that might come handy in your PTE attempt. Though there are many tips to help you perform well in the PTE exam, it goes without saying that remaining calm and composed will pay rich dividend while attempting the test. This entry was posted in Pearson Test of English on April 22, 2016 by Ronnie Fredrick Thimothy.